Since 1999, Seattle Limo Service has been the Pacific Northwest’s premier tour and company. We offer many sightseeing tours including Seattle space needle, Boeing, and Mt. Rainier Tours. 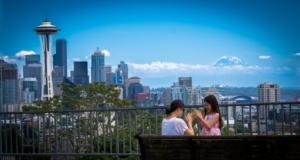 Try one of our city tours to learn more about the history and people of Seattle! Make your experience extra special by journeying with a company who knows how to fulfill all of your expectations. There are so many companies who are offering luxurious limo tours, but you need to find someone who specializes your occasion, or specializes in every occasion. This way you will not need to find a new limo service for every new occasion, around the neighborhood there are many big names that offer Seattle city tours and when you are travelling in a limousine every familiar road will seem different. You will enjoy each moment on this amazing ride, but above all these days will live in your memory forever and the night will become a memorable one. You need to find someone that offers you the best service with a well groomed chauffeur driver who will take you anywhere you wish and wait for as long as you wish. You need to go through each and every aspect because this will be your on special night and you do not want anything to ruin it. Seattle Limo tours offer something for everyone, but you need to find the best company that has years of experience and an extensive range of Limousines. You do not want to be stuck in an old Limousine with an aggressive and grumpy driver; if you are spending money then you must get something extra. Find someone who gives you the complete royal treatment, everyone loves wine and this is why many companies also offer wine tours where they take you to some of the most exotic wine tasting places and you enjoy the entire day with a touch of elegance from Limousine. Many entrepreneurs and lawyers from big firms wish to outshine the others in their big meetings; this is where a special class of Limousine is introduced for all these titans of the industry. For all the high school sweethearts there is a special range of Limousines where the love will indeed be in the air, for all the people who are visiting Seattle for the first time there is a special city tour where you will travel all the magnificent places in your luxurious ride. This experience of the city tour is guaranteed to bring you back for more, limo tours Seattle will completely change the way you used to travel. There are so many people who are always trying to find happiness; well nothing makes you happier than a tour around Seattle in the most amazing car. Everyone dreams to travel on the Limousine, if you have the same dream then why not make it come true? Next time when you think about doing something special for your loved ones, do consider the option of Limo services because everyone wants to live like a celebrity even it is for one day. Money cannot buy happiness but it can certainly give you a wonderful and unforgettable moment in Limousine which you will remember for the rest of your life. To reserve your Seattle City Tour today give us a call today! 206-615-LIMO or email us at info@limoserviceseattle.com.